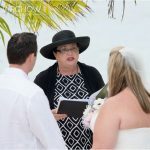 This week I performed a vow renewal ceremony for a US couple, who were visiting for a week at the Morritts Tortuga timeshare complex in East End, Grand Cayman. Like many of my couples, they were accompanied by their children (13) and (6). 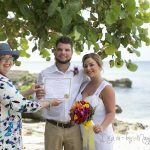 As a wedding celebrant, and probably because I am a mother and grandmother, I love to do vow renewals which include a couple's children. When you think of it, this is such a special occassion to share with your kids, and creates such a good memory for all the family. My bride M, knew exactly what she wanted and was a delight to work with. 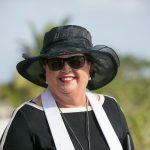 I was a little anxious, because the ceremony itself was to be a surprise for her husband C, but the children were in on and I do think C suspected what was going on. He was superb, even when he got handed the renewal vows he was supposed to say, and he said them with meaning! M was very enterprising, and used her original wedding dress, not many women can pull that off! 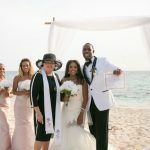 Her 6 year old strewed her path with flower petals, and her brother held the rings as they repeated their own vows in a ceremony full of meaning. The "boys" were casually elegant in melon coloured silk shirts and boutonnieres, while the little girl wore a wristlet, and her mom carried a hand-tied bouquet of brightly coloured gerberas accented with yellow roses. 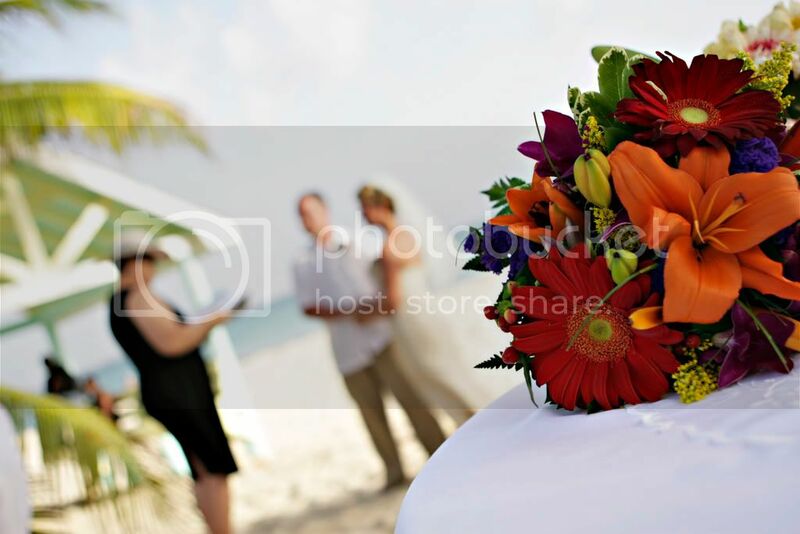 They had booked a photographer to capture the ceremony, as well as to take posed shots for family and friends. After the cermony there were toasts all around with sparkling cider, and M and C cut their cake and fed each other. Their cake was topped by a Lennox topper depicting two entertwined swans...very appropriate, as swans mate for life! Then their white stretch limo arrived to take them to dinner at one of their favourite restaurants overlooking the water, the Lighthouse Club.